The need to get off the grid and go almost anywhere has seen a New Zealand company develop Unimogs as robust motorhomes capable of taking on the toughest terrain. Clark Global is a company that believes you are only limited by your imagination, so are focused on giving their customers the freedom to travel the paths less navigated and explore the places where there might not even be a road to follow. “We believe that freedom of travel is enhanced by building a vehicle that is one hundred percent uniquely you and satisfies all your needs, even the ones you didn’t know you needed,” Dave Clark, Owner and Director from Clark Global said. Clark Global was created following a long-standing passion for travel. The company has extensive knowledge of the overlanding industry, building expedition vehicles and having spent years traveling together in places rarely visited by overlanders. Dealing mainly with the Mercedes Unimog, they have tested many different components to find the right equipment needed to withstand the harsh environments these vehicles are put through. “Clark Global pride themselves on listening to their clients to ensure their dreams come true with custom built trucks that are uniquely designed for their requirements,” Clark said. 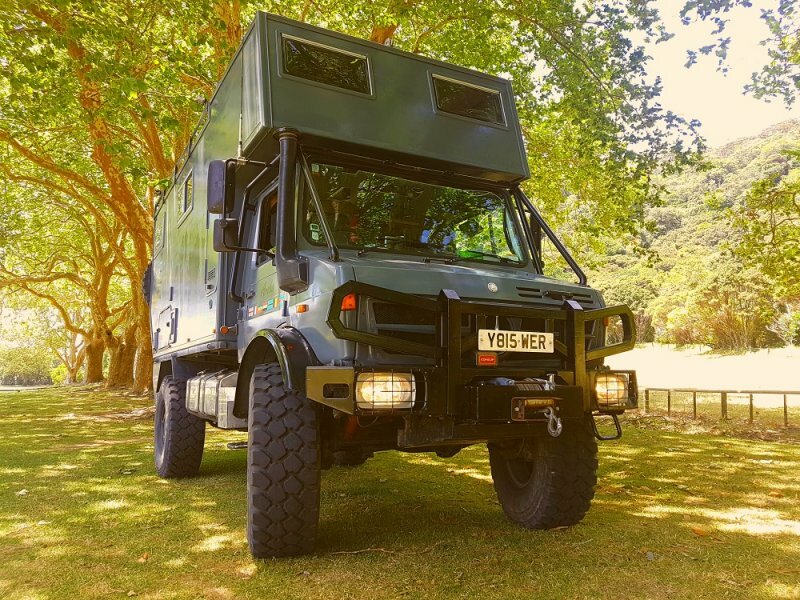 Clark Global is showcasing Clark’s personal expedition truck “Aroha”, a U1550 Unimog that was bought and built in the UK solely by Clark at New Zealand’s largest annual Motorhome, Caravan and Outdoor Expo, the Covi SuperShow that starts on Friday at Auckland’s ASB Showgrounds. Outside upon entry to the Covi Supershow Clark is also showcasing a U1700 Unimog cab and base to highlight the blank canvas Clark Global clients work from. After an extensive year long trip from the UK, through Europe, into Central Asia, to Mongolia and Russia Clark and Sumner bought ‘Aroha’ back to New Zealand, and using all the knowledge gained on the road, overhauled her to make her even better.